Magna Data Center | JDRM Engineering, Inc. Consolidating multiple data centers into a new corporate office building was just the beginning of JDRM's work for this client. Adding the electrical infrastructure for the 120,000 square foot building to accommodate dual electrical feeds into two data rooms on each of seven floors for local communications wiring added to the challenge. 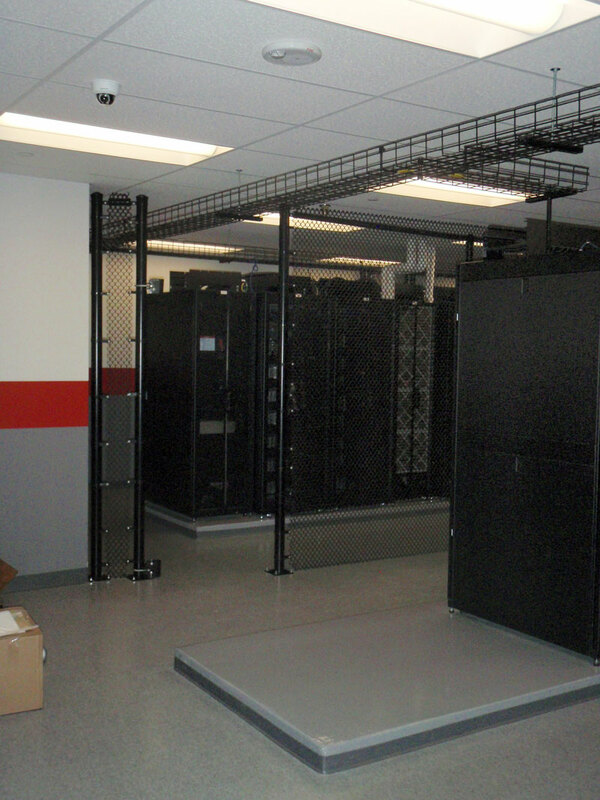 Space was tight: the data center had to fit into the available 3,150 square feet and house data center mechanical equipment, electrical equipment, generator distribution equipment, and meet grounding needs as well. Design work encompassed dedicated HVAC and cooling equipment; emergency power generation; and associated electrical distribution equipment. Since the room was built over an existing slab on grade foundation, all utility provisions are overhead. The data center ‘white space’ uses all of the 2,400 square feet available to house 42 data cabinets with a design power requirement of 10 kW cabinet. Five cabinets are physically secured within Federal Cyber Security Compliance (FIMSA). This area was ‘populated’ over several months, so the UPS and cooling systems were designed in a modular manner to accommodate controlled growth, while operating as efficiently as possible. 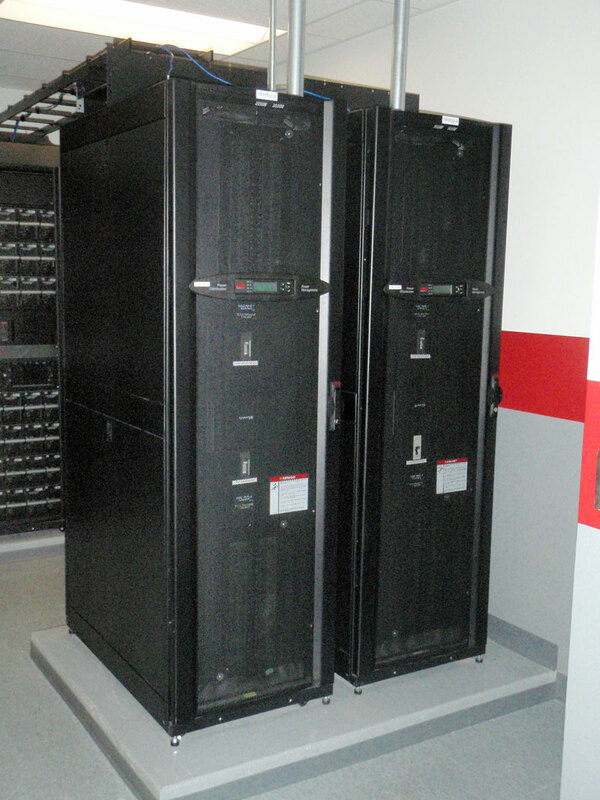 – Two additional power distribution units serviced from individual UPS. – Separate electrical feeders routed through the building with separate power distribution established in each remote data room for dedicated A/B power sourcing from critical power source. 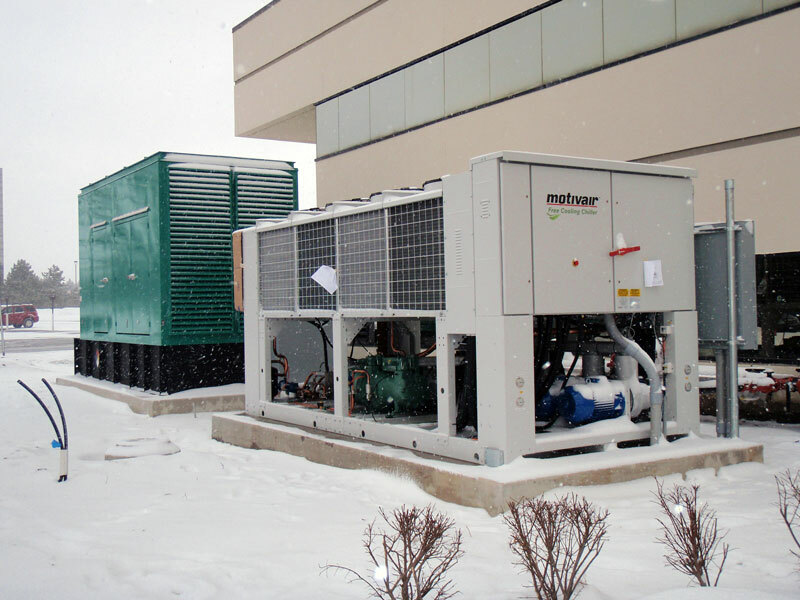 – A dedicated outdoor air cooled chiller coupled with chilled water piping and pumps for data center cooling. 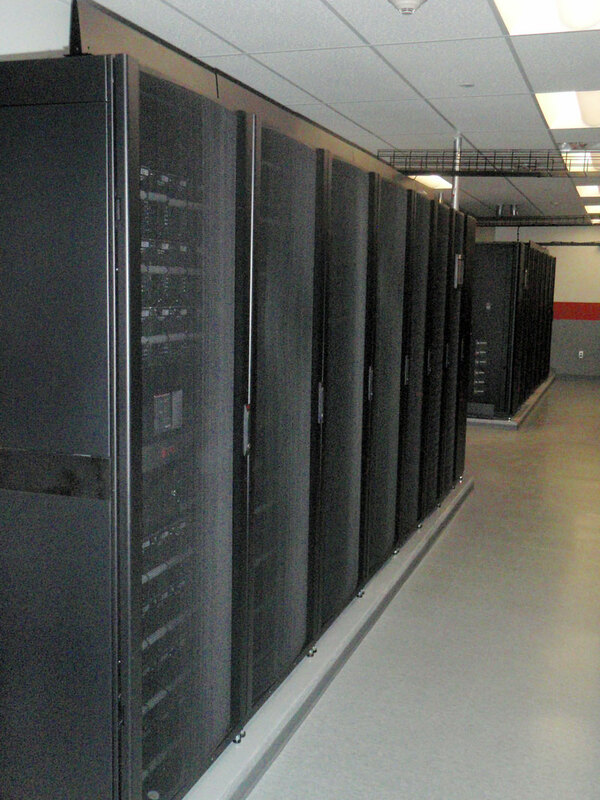 – In-row cooling units to accommodate design cooling loads coupled with strategic redundancy in the data center. – Appropriate humidification incorporated into cooling units. – Outdoor air chiller incorporates a ‘free-cooling’ provision permitting waterside economizer operation and 100% cooling capacity at ambient temperatures below approximately 30 deg F for added energy efficiency options. The project was completed within the customer’s time schedule.